Character - Leader - Trooper. Points: 12/15. Health: 11. 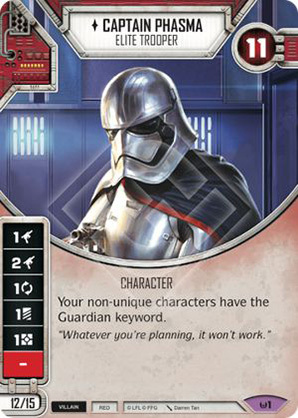 Your non-unique characters have the Guardian keyword. "Whatever you're planning, it won't work."